Properties in Maketu average 4.5 out of 5 stars. Property 2: Beachside Bliss at Maketu. MAKETU SEA MAGIC "BACH RETREAT"
Property 3: MAKETU SEA MAGIC "BACH RETREAT"
Does your dog enjoy the beach? Bring him here! Property 11: Does your dog enjoy the beach? Bring him here! Papamoa Beach_Break, modern, clean and inviting. Property 15: Papamoa Beach_Break, modern, clean and inviting. Newly renovated and GORGEOUS! Summer's still here! Property 16: Newly renovated and GORGEOUS! Summer's still here! The perfect location - Right On The Beach! Property 17: The perfect location - Right On The Beach! The Hen House - Book a little break away now! Property 19: The Hen House - Book a little break away now! Coastal Views are the order of the day! Property 20: Coastal Views are the order of the day! One bedroom flat. Borders reserve. Property 21: One bedroom flat. Borders reserve. Come and enjoy the rest of summer at the this Haven! Property 25: Come and enjoy the rest of summer at the this Haven! Property 31: Beachfront - In Paradise! Barefoot Manor - right on the beach! Property 33: Barefoot Manor - right on the beach! Summer's here! Grab a short break here now! Property 35: Summer's here! Grab a short break here now! Perfect Kiwiana getaway - for the WHOLE family! 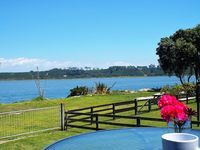 Property 36: Perfect Kiwiana getaway - for the WHOLE family! Stunning Ocean Views from this Pukehina Paradise! Property 44: Stunning Ocean Views from this Pukehina Paradise! Whitesands Beach House - 10% discount for May! 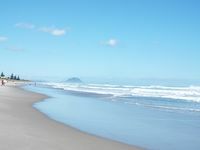 Property 46: Whitesands Beach House - 10% discount for May! Beach, ocean, hills, shopping, it's it all here! Property 50: Beach, ocean, hills, shopping, it's it all here! Great location - our family has stayed here a few times now. Would recommend to others. Great wee place for a family or two couples. Newly renovated, the kitchen and bathrooms are wonderful. But oddly there is no washing machine/laundry. I didn&rsquo;t think to check this before booking.